Copenhagen-based developer SYBO is on a mission to expand the Subway Surfers brand outside of the hit mobile game. The title has racked up more than 2.1 billion downloads and is the first-ever Google Play game to cross the one billion downloads mark. In June 2018 alone the title racked up 52.5 million downloads - its best-ever month. Meanwhile according to market data Sensor Tower’s estimates, in July the title crossed over $80 million in revenue from in-app purchases - not including advertising. Those are impressive numbers, but SYBO has grander plans for the IP. The game was launched in China, it’s got an animated series on YouTube and the brand is being heavily merchandised. In this video from Pocket Gamer Connects Helsinki 2018, SYBO CEO Mathias Gredal Nørvig discusses some of the avenues the company is exploring to extend the IP’s reach. One way SYBO wants to both widen its audience and continually engage its current player base through different mediums is the recently unveiled SYBO TV. Expected to launch by the end of the year on YouTube, the curated channel will act as a hub for Subway Surfers content such as an animated series and a smaller video series. An upcoming long-form animated series, however, will have its own distribution partner, which the company said it will announce in “due time”. SYBO TV will be the goldmine for fun and relevant content. It’ll also host live streams, trailers, behind-the-scenes looks and lifestyle content. 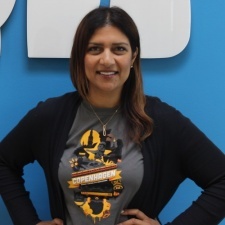 “Our fan base is amazingly loyal - they’ve adopted a Subway Surfers lifestyle and we know they want more experiences beyond the game,” SYBO head of brand marketing and licensing Naz Amarchi-Cuevas tells PocketGamer.biz. Part of the developer’s YouTube strategy for SYBO TV will be partnering with content creators. Amarchi-Cuevas says the team is currently working with several influencers to showcase fan content through the channel. “We’ve worked with our fans thus far, and they are an amazing asset,” she says of working with YouTube content creators. Amarchi-Cuevas says SYBO TV is one of just several ways fans can now embrace the Subway Surfers brand, or more specifically as she and the company are putting it, “the Subway Surfers lifestyle”. “The SUBSURF Consumer Lifestyle brand aims to further connect its audience with the brand its fans love,” she explains. This article was originally published on our sister-site PocketGamer.biz. SYBO producer Astrid Lamhauge will be a speaker at Pocket Gamer Connects London 2019, which takes place on January 21st to 22nd. How is MZ’s marketing campaign with Alexis Ren working out for Final Fantasy XV: A New Empire?